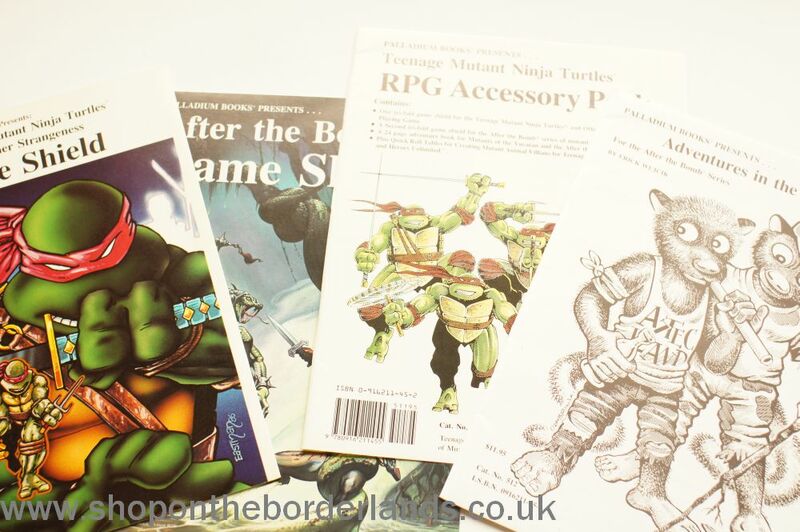 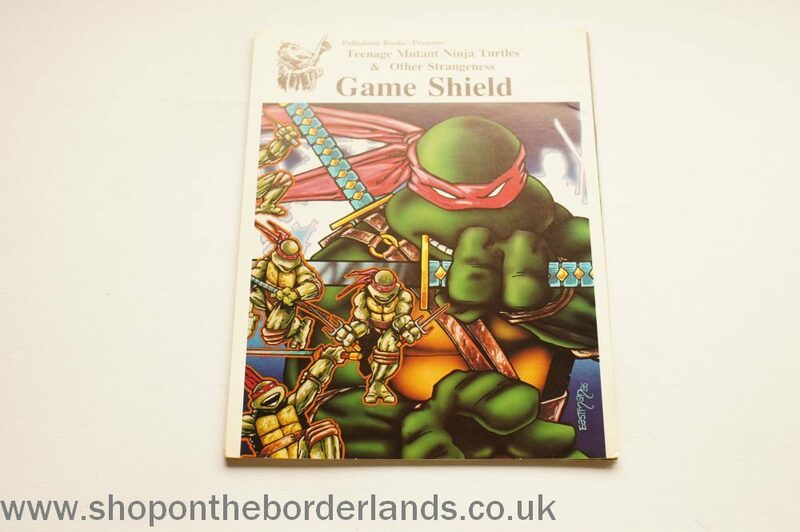 One tri-fold game shield for the Teenage Mutant Ninja Turtles and Other Strangeness Role-Playing Game. 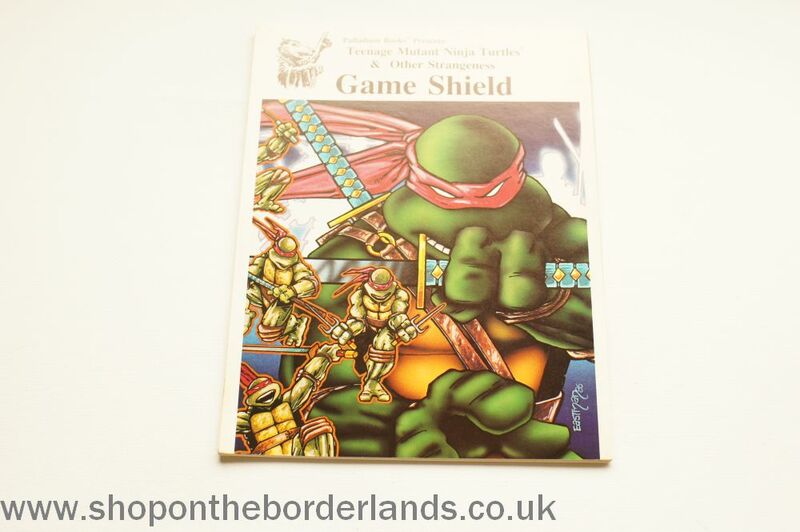 A second tri-fold game shield for the After the Bomb series of mutant animal heroes. 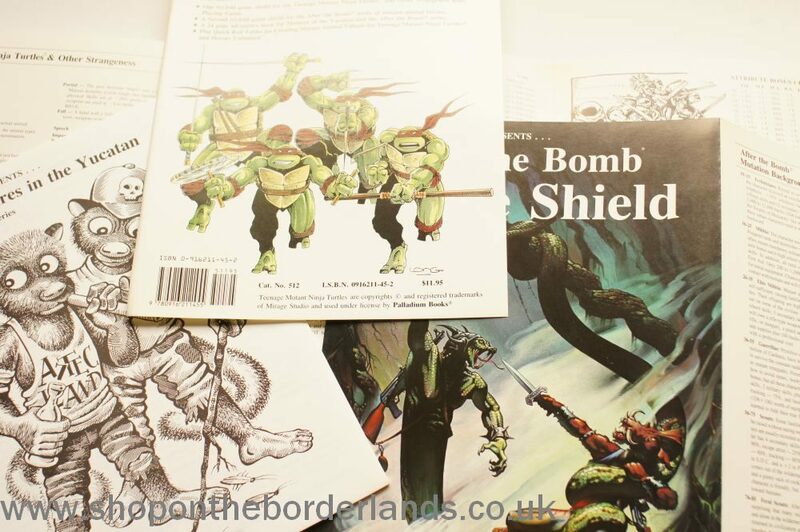 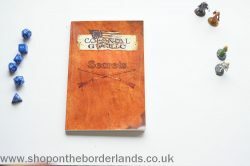 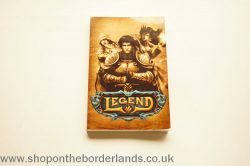 A 24 page adventure book for the Mutants of the Yucatan and the After the Bomb series.